Hello! My name id Tina, I am stupid. I like eating, but I don’t like to read a book and go to school. One day, Tina woke up and brushed her teeth and washed her face. Then, she ate breakfast and went to school. In the class, she was surprised, because she forgot to take her bookbag to school. 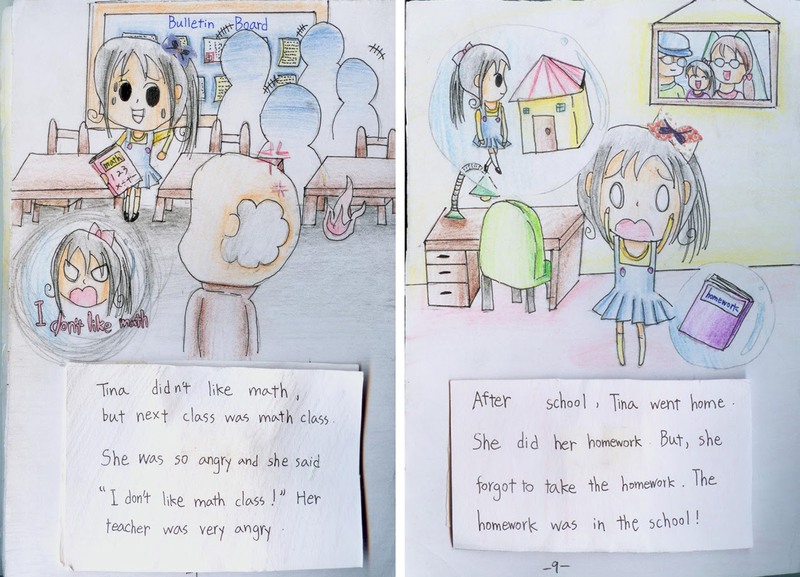 Her teacher was very angry. After class, Tina went to the restroom. She was surprised again, because she was in the boy’s restroom! In the music class, Tina forget to take the flute, so her music teacher was angry. Next class was PE class, Tina fell down. Students laughed all together. Tina didn’t like math, but next class was math class. She was so angry and she said “I don’t like math class!” Her teacher was very angry. Tina like Chinese, but Tina’s Chinese teacher angry, because Tina forgot to take the Chinese book. After school, Tina went home. She did her homework. But, she forgot to take the homework. The homework was in the school! “Oh! No! I forgot to take my homework!” She said. “I can help you!” her mother said and she went to Tina’s school to take Tina’s homework. 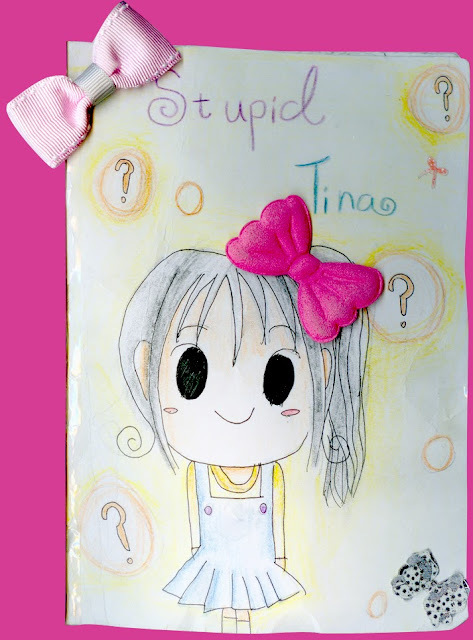 Tina was stupid, but her mother and father like her and took care of her. Tina was happy and she said, … … “I love you!” to her mother and father.